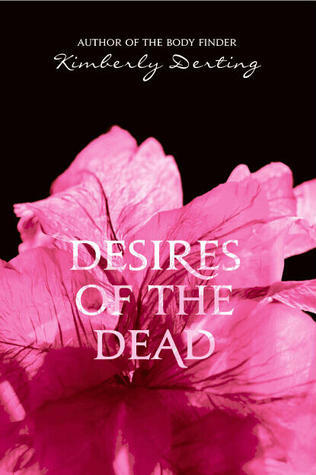 So after months of sitting on this, I can (finally) share the cover for DESIRES OF THE DEAD! It’s pretty and it’s pink, and I LOVE IT! I was wondering if (and hoping!) they were going to keep the flower theme, and they totally did. I want to kiss my cover designer on the lips...full on! So? What do you think??? Oh it's gorgeous!!! I think I like the pink on black even more than the blue on black. How exciting! It's BEAUTIFUL!! I love it!!! awesome! I always like it when a designer can keep the same theme going. I LOVE! I WANT! AHH! So awesome. It fits to the cover of "The Body Finder" and the pink is really eyecatching. OH MY GODDESS KIMBERLY I LOVE IT! Let me know when ARCs start going out so I can write HT. OMGosh!!! I love it!! I'm so glad it goes along the The Body Finder theme. I know it will be beautiful in person!! Eek! :) So glad to finally see the cover. OMG it is so beautiful!!! Love, love, love, super love it!!! Wow, that is really dazzling. WOW - That's BEAUTIFUL!!! LOVE LOVE! Beautiful! I love it. And the title is awesome, too. Wow! It's awesome. I love it. Congrats! I can't wait to read it. EEEEEEEEEEEEEEEEE Beautiful, I'm so excited! Beautiful! Glad they kept the flower. Congratulations! Oh. My. Goodness! It's gorgeous! Love it so much! Beautiful! Lynsey - It's being released in the UK in November (and I still haven't seen whether they're using the US cover or whether I'm getting a new one!). Jenn - I'm not usually a big "pink girl" either, but I LOVE this! GORGEOUS, Kim! Your flowers are SO going to stand out on the bookstore shelves. How could someone not pick one up? I love it!. I love the pink color. It's beautiful! And completely perfect IMO! The pink just pops perfectly. I can't WAIT! OMG Love it!! Is amazing!! 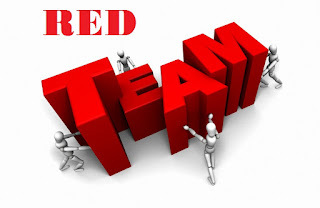 I've upload the cover in my blog, to promotes with my followers. I love it and can't wait for the sequel. LOVE IIIT!!!!!! And CAN'T WAIT for it! Yay :D! Thankfully the design folks don't seem to hate me! Whew!!! It is absolutely stunning! Jackpot on the book covers, lady! Congratulations on another awesome cover. I am so excited for the book, too bad it is a long ways away. However, the cover is gorgeous!!!! It's very distintive - stands out in a crowd (or bookshelf)! I really love the theme! I'm so happy for you & pea-green with envy (in a good way). DISTINCTIVE - that is. Sorry for the typo! Absolutely gorgeous cover! It's pink! >_< EEEEEE!!!! I loved the blue on black, but since pink is my favorite color, what can I saw except, AWESOME cover!!! Oh. My. Goodness. It's ethereal. I love it! It's beautiful! I cannot wait to read it! And it comes out 3 days after my birthday! I am so excited! it is so very very pretty. i like the pink even better than the blue. I hope there is a third one and its purple! ahh i love it!! i cant wait to read it!! !